Mr Wing Chung Chan passed away peacefully on 13 September 2017. Beloved husband of Miranda May Shiu Yee. 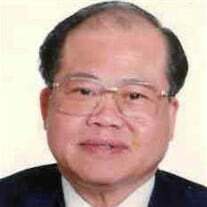 Adored father of Sophia Shuk Fun, Michael Kam Fun and Alfred Kum Kee. The family of Mr Wing Chung Chan created this Life Tributes page to make it easy to share your memories.